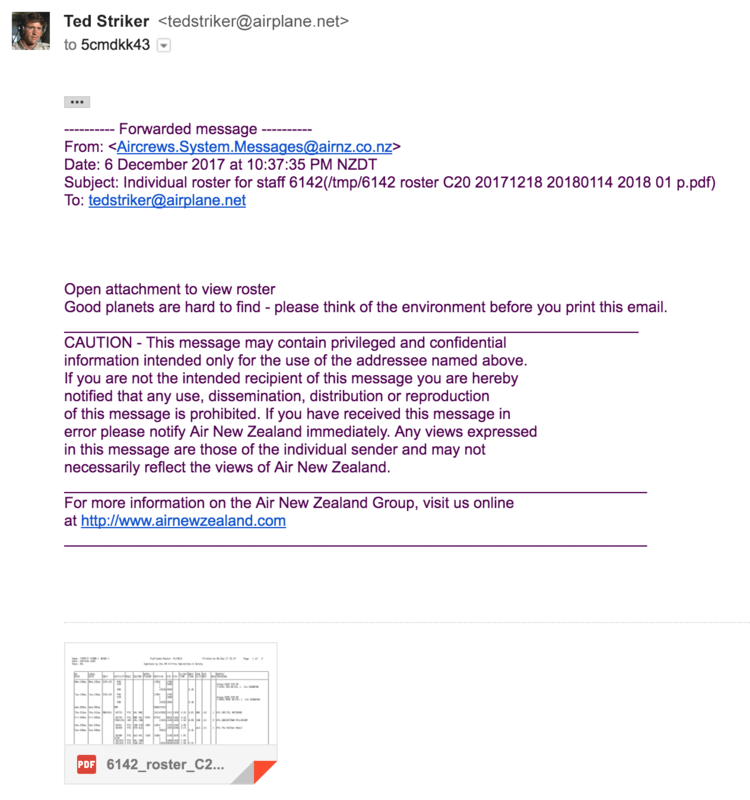 To import your Air New Zealand, simply forward the email Air New Zealand sends you with your published roster attached. It's important you include the attached PDF when you send the email as this is what Aeroster reads when processing your roster. You need to send us your latest current roster every time your roster is updated or changed. Log into Jetnet and navigate to the MyRoster page to get your latest roster. Click the View button next to the roster you want to import, this will load a PDF of your roster. 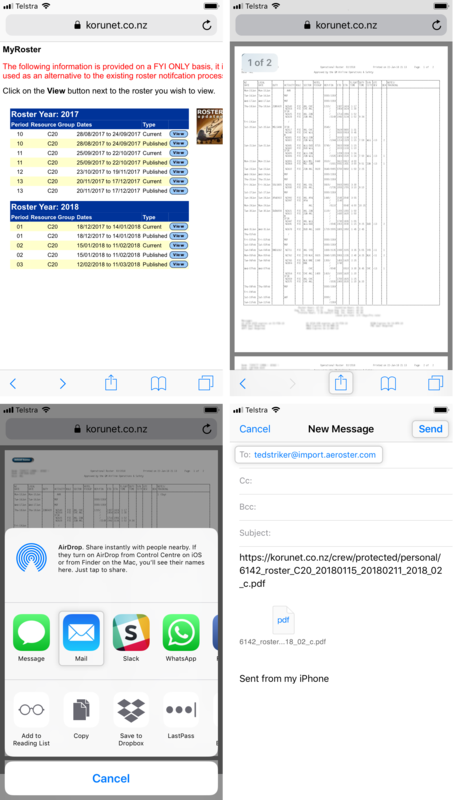 Attach and send a copy of this PDF to your unique Aeroster email address.